The potential of this technology makes possible to be directly connected to users and patients at home with a wide range of information and services. In this way, a significant impact on the quality, timeliness and availability of health services can be reached. Since it is a rather new topic, researches on it are few and quite lacking at the moment. When it comes to a target audience with special needs such as elderly and disabled patients, it is also important to plan eHealth services with solutions that allow overcoming the technological barriers (Cashen, Dykes, & Gerber 2004). The employment of an easy-to-use consumer device as Smart TVs can be crucial to address the usability needs of this kind of users who are not familiar with PC or the more recent smart devices. Currently, for this category the TV remains the most well-known technological medium, widely adopted and most familiar as entertainment system and equipped in almost every house. By using this kind of device in the e-Health and Telemedicine area, easily accessible systems can be designed to assist users directly at home. 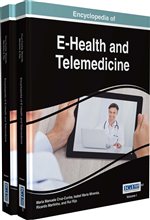 In this way, a Smart TV based telemedicine system can provide a cost effective and user friendly device in terms of interface and acceptance, since the TV is a familiar and the most common household appliance. By taking advantage from this technology, users can easily access medical services from their own environment with comfort, privacy and a significantly positive impact on health condition. Considering these factors, several services have been proposed by adopting Smart TV sets. Some applications focus on a telematic rehabilitation exercisers in form of a game for physically limited people (Epelde, et al., 2013; Hinderer, Friedrich, Hobel, & Wolf, 2013; Hinderer, Friederich, & Wolf, 2012). This kind of therapy at home usually aims to preserve or restore mobility. In these cases, gaming is conceived as a tool to objectivise the performance improvements and increase the motivation for a self-directed rehabilitation. Since interaction is also a crucial part of the system, the therapeutic recommendations for further exercises are delivered while monitoring and collecting data during the rehabilitation.